Artists! Have you ever considered setting up an Etsy account so you can have your own on-line storefront? Join local artist Melissa Burness on Thursday June 27, 2013 for an Etsy Account Workshop for Artists. list your first product on Etsy! This hands-on workshop will take place from 6:30-8:30 p.m. on Thursday, June 27, 2013 in the Region 2 Arts Council Office at 426 Bemidji Avenue in Bemidji. Call (218) 751-5447 or email staff@r2arts.org to register TODAY! Only 6 spaces available. Participants should bring a laptop with wireless capability. We may have a laptop or two on hand if you don’t have one. Contact us today! WHY: The Minnesota State Arts Board has announced grant deadlines that will occur this spring and summer. Anyone who would like to learn about upcoming grant opportunities is invited to attend a free session presented by Arts Board staff members and Delina White, resource developer for the Bug O Nay Ge Shig Tribal School. MORE INFORMATION: In the first 60 minutes of the information sessions, Arts Board grant programs will be reviewed. In the second 60 minutes, Arts Board staff will answer questions from the audience, and be available for one-on-one conversations. The sessions are free of charge. Dates/Times: April 12- 7p.m.-9p.m. & April 13- 9 a.m.-4 p.m. Contact Improvisation is a dance form based on the spontaneous play of two people sharing a point of physical contact. The workshop will explore the body’s natural movement properties: gravity, structure, momentum and flow, with an emphasis on improvisational creativity and clarity of communication between dancers. 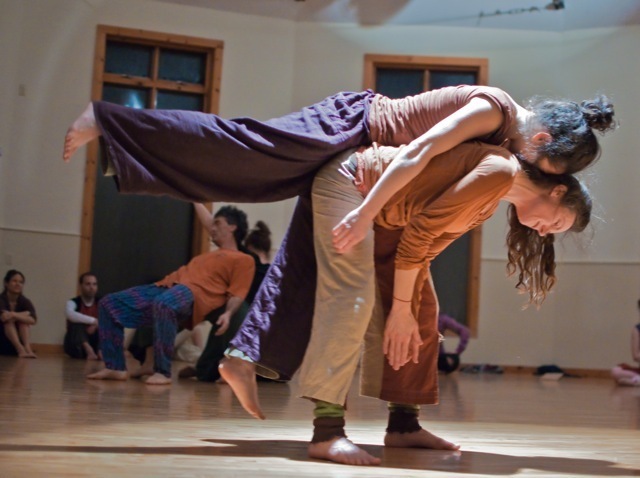 Contact Improvisation enhances self-awareness as well as any other partner dancing you may have studied, as those involved take turns leading and following, initiating and listening for cues from the other, as well as giving and receiving weight. Pre-registration required through Region 2 Arts Council by calling 218 751-5447 or via email at staff@r2arts.org.